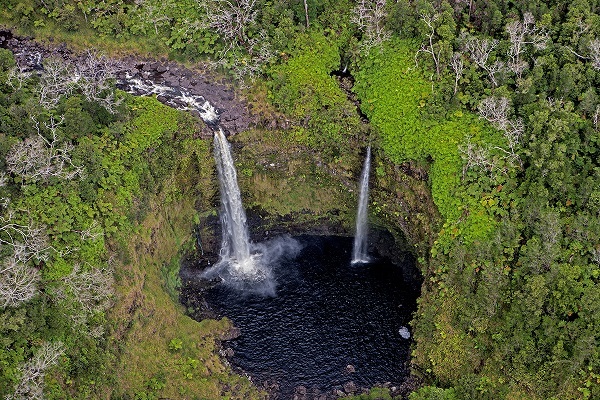 One of the many waterfalls found on the Big Island, believed to be PeePee Falls. Hawaii is one of My Vacation Lady’s favorite places to visit and every time we return we start planning our next vacation back to the islands. With so much to see and do in each island, we could easily spend a week to 10 days in each, without getting bored. 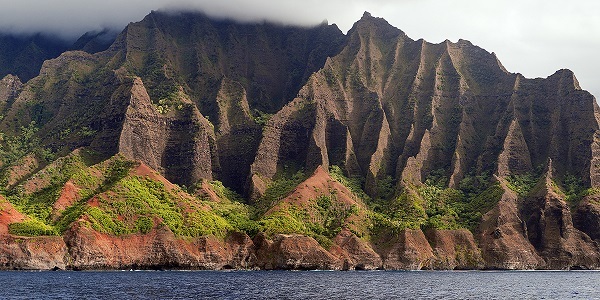 The Na’Pali Coast, showing the eroded cliffs. As a Hawaii Destination Specialist, My Vacation Lady sends lots of our clients to Hawaii and many are going for the first time. Many are honeymooners. Some are families and some are celebrating special occasions with their dream vacation to Hawaii. We offer many, many tips to our clients when they are visiting Hawaii but here is a cute little photo journal of 22 tips for first timers. We also found this older article about 50 great things about Hawaii. My Vacation Lady can help plan your dream vacation or honeymoon to Hawaii. If you want an experience rather than just a trip, we can help. Contact us.